Is it Wrong for Christian Men Today to Have Long Hair? Silly me, I thought I’d be able to just look at a couple of commentaries and dash off a quick response. No sweat! Wrong! Turns out some (okay, a lot) of the commentaries don’t even deal with this verse, which could mean one of two things: either it is too difficult to deal with or the length of a man’s hair is not really the point of the passage. I’m going to pick door number two. I don’t think the length of a man’s hair is really the main point that Paul is trying to make. In fact, the context (starting from about verse 3) really is dealing more with the conduct and appearance of the women in the church, and laying out God’s organizational chart for the church and for the Christian marriage. In Corinth, women of good reputation rarely appeared in public without some type of veil on their heads. Only prostitutes went around with their heads uncovered. [Van Gorder, p. 99] On the other side, men who appeared in public with long (or overly styled) hair were considered to be homosexual or practitioners of some pagan religion. Again, remember that this is in the context of Corinth during the time Paul is writing to them. 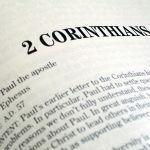 Basically what Paul seems to be saying is that despite the fact that Christian “liberty” (see 1 Corinthians chapter 10), freed them from adhering to some of those stereotypical ideas of appearance, they should be careful not to bring offense to the gospel or to God by dressing in a way that would send the wrong signal to the unbelievers or would cause a weaker brother to stumble in the faith. Then there’s the matter of the divine order: God to Jesus to man to woman. Paul is very careful to point out that he isn’t saying that God is “more important” or “greater” than Jesus, nor is a man “more important” or “greater” than a woman. There’s a serious interdependence that cannot be overlooked. But on any team, someone has to be captain. Someone has to make the final decision, or get the orders from headquarters and pass them along to the other team members. Paul says that since man is the oldest (okay, since he was created first), God has appointed him captain. In the context of Corinth in the first century, long hair on the men may have been seen as a sign that the man was (or appeared to be) abdicating his role as team captain. And when he did that, he was bringing dishonor to the coach and the team owner (Jesus and God, not to change the analogy – although please don’t carry that too far! ), and making things harder for the rest of the team (the women in his sphere of influence). He has put himself under the proper authority (Christ) and is fulfilling his God-given role as spiritual head of his home. There are a number of opinions on almost every aspect of this question. If you’d like to investigate further, I’ve listed all the resources I consulted in the Bibliography below. 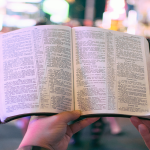 What about the Nazirite (or Nazarite) vow? Three people in the Bible are said or presumed to be Nazirites for life: Samson, Samuel, and John the Baptist. Jesus was not a Nazirite. (He was a Nazarene, meaning that he came from the region of Nazareth.) There is no indication that he ever took the Nazirite vow, although he may have done so for a short time. Craig L. Blomberg, The NIV Application Commentary: 1 Corinthians (Grand Rapids, MI: Zondervan, 1994). John Calvin, Commentary on Corinthians, Vol. 1, http://www.ccel.org/ccel/calvin/calcom39.html . Adam Clarke, “Commentary on 1 Corinthians 11,” The Adam Clarke Commentary. <http://www.studylight.org/com/acc/view.cgi?book=1co&chapter=011>. 1832. M.G. Easton M.A., D.D., Illustrated Bible Dictionary, Third Edition (Thomas Nelson, 1897). Public Domain. John Gill, “Commentary on 1 Corinthians 11:14,” The New John Gill Exposition of the Entire Bible. <http://www.studylight.org/com/geb/view.cgi?book=1co&chapter=011&verse=014>. 1999. David Guzik, “Commentary on 1 Corinthians 11,” David Guzik’s Commentarieson the Bible. <http://www.studylight.org/com/guz/view.cgi?book=1co&chapter=011>. 1997-2003. Holman Bible Dictionary (Broadman & Holman, 1991). Walter C. Kaiser, ed, Hard Sayings of the Bible (Downers Grove, IL: InterVarsity Press, 1996). Keith Krell, “Glory or Shame?” http://bible.org/seriespage/glory-or-shame-1-corinthians-112-16. 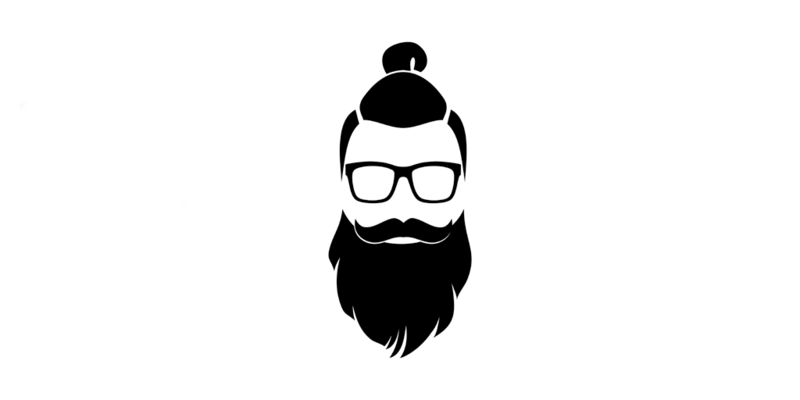 Igumen Luke, “Concerning the Tradition of Long Hair and Beards,” Orthodox Christian Information Center, http://orthodoxinfo.com/praxis/clergy_hair.aspx. Net Bible, Numbers 6, https://netbible.org/bible/Numbers+6#n4. James Orr, M.A., D.D., gen. ed., “Entry for ‘NAZIRITE’.” International Standard Bible Encyclopedia, <http://www.studylight.org/enc/isb/view.cgi?number=T6298>. 1915. Paul R. Van Gorder, The Church Stands Corrected (Wheaton, IL: Victor Books, 1976). Spiros Zodhiates, ed., Hebrew-Greek Key Word Study Bible (New American Standard Bible) (Chattanooga, TN: AMG Publishers, 1990). 1 Corinthians 11:14 can be broken as long as you don’t offend anyone with your long hair? How about Ezekiel 44:20..nor suffer their locks to grow long”? Can I break that Scripture too because we live in an long haired men society? God’s word never changes, mankind changes. God is the same yesterday, today, and forever. That scripture is specifically referring to levitical priests, so if you are a levitical priest I suppose you should not break that scripture.